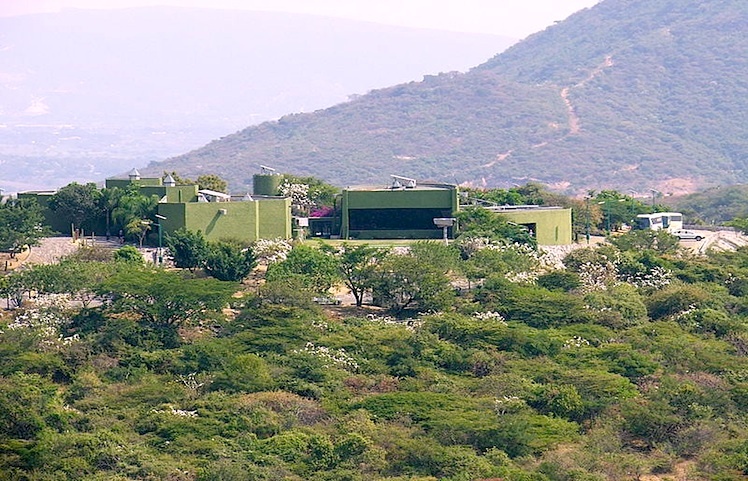 Following on from our look at the feasibility and practicality of establishing sustainable, accessible Green Cities in Mexico, this post seeks to identify the best locations in Mexico for Green Cities based on an analysis of the natural resources of wind, solar and water. Of the 31 states in Mexico, only ten were evaluated in detail. Twelve were not evaluated due to their current social conflicts. Seven others were not evaluated because of their propensity for hurricanes, and two were not evaluated due to their mountainous terrain, which is not favorable for generating energy from the wind. The remaining ten states were evaluated using maps similar to those in our previous post about Green Cities. Of the ten states evaluated (see map), two were rated as having the “Best” wind and solar. 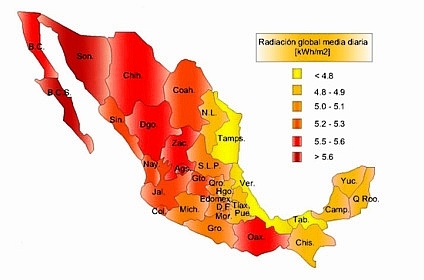 But, of the two, Tlaxcala has the best overall ratings of wind, solar and moisture. The best locations in Tlaxcala are in the north and northeast areas of the state. Two other states have a wind and solar rating of “Better”, and three are rated “Good.” Three more have a rating of “Poor.” See the summary chart below. The recommendation is to do additional evaluations on Tlaxcala, Guanajuato, Hidalgo and Oaxaca, all of which have potential areas suitable for a Green City. Aguascalientes, Zacatecas and San Luis Potosí have good wind and solar ratings, but low moisture ratings which could be a problem. But, they could also be acceptable if suitable “Air to Water” technology were available. How feasible is it to build Green Cities in Mexico? This guest post, by C.G. Machlan of the fledgling Green City Development Organization, looks at the feasibility and practicality of establishing sustainable, accessible cities in Mexico. If it is feasible and practical to build wind farms in Mexico then it must also be feasible and practical to build sustainable, accessible Green Cities. Here’s why! Mexico has approximately 31 wind farms occupying over 11,000 hectares in 8 states, generating more than 1,300 megawatts (MW) of power for the national grid system. Additional wind farms are in the planning and development stages. These wind farms are needed, and are an important component of efforts to increase Mexico’s electricity-generating capacity. Wind farms are ecologically clean, produce needed electricity for the national grid, reduce Mexico’s carbon footprint, and create some long term jobs. While wind farms contribute to Mexico’s electricity-generating capacity they do little to help the long term employment situation in Mexico. On the other hand, Green Cities can help boost employment. The Green City Feasibility Study looked at 10 Mexican states and identified potential locations having sufficient wind, solar and moisture resources to support a Green City. When built, each city would be able to house an estimated population of 250,000 to 300,000, and could create more than 100,000 new jobs across all sectors. Each city would be totally sustainable as regards electricity, by incorporating vertical and horizontal wind turbines together with solar panels in both residential and non-residential areas. The Green City Electrical Analysis suggests that a Green City will require 54.6 to 63.3 megawatts daily for an estimated 54,000 houses, and between 288 and 661 MW for the non-residential areas at the projected mean and maximum population levels. 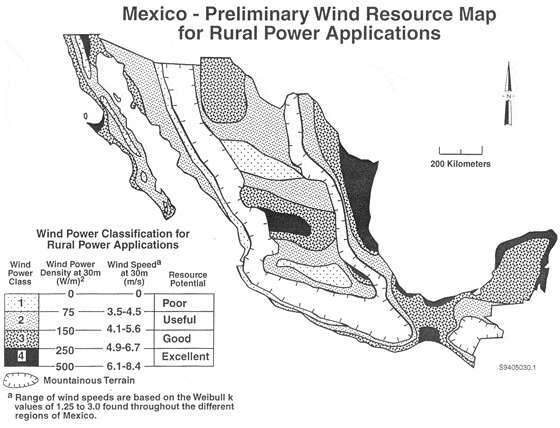 This is a similar number of megawatts to the 250 MW produced by the Eurus Wind farm located in Juchitan de Zaragoza, Oaxaca, or the 632 MW, oil fired, Puerto Libertad power plant in Pitiquito, Sonora, but has the very important additional advantage of helping to create more than 100,000 new jobs in each city. 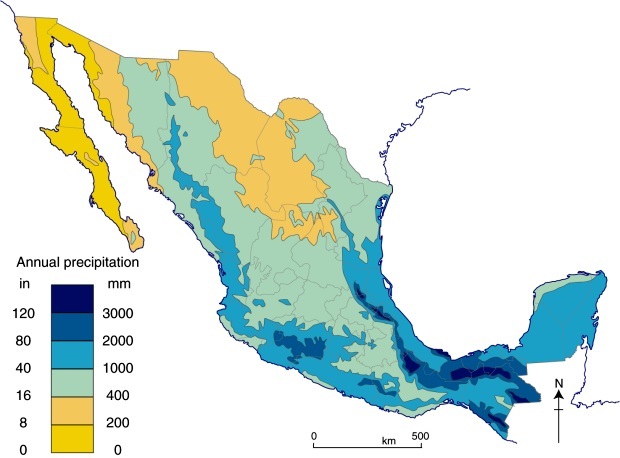 Annual precipitation in Mexico (Fig .4.3 of Geo-Mexico, the geography and dynamics of modern Mexico) All rights reserved. The normal rainfall season in many areas of Mexico is from May through September, so Green Cities would need to rely on aquifers as a year-round water source. 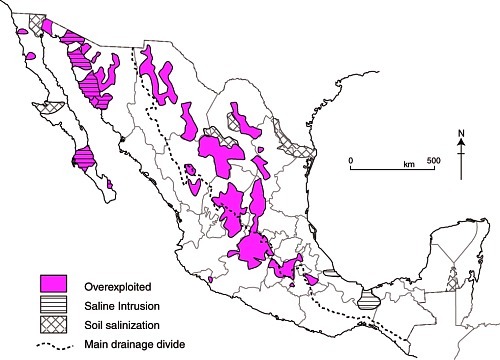 Mexico has 653 identified aquifers, more than 100 of which are said to be overexploited. Recycling all wastewater to a quality suitable for potable use. Incorporating “Air to Water” methods to obtain replacement water thus reducing aquifer usage. Designing runoff systems to collect and clean rainfall (stormwater) when it is available. Recharging aquifers, using excess water obtained from stormwater runoff. The Green City Water Analysis estimates that a typical Green City will consume 71,563 cubic meters of water daily. 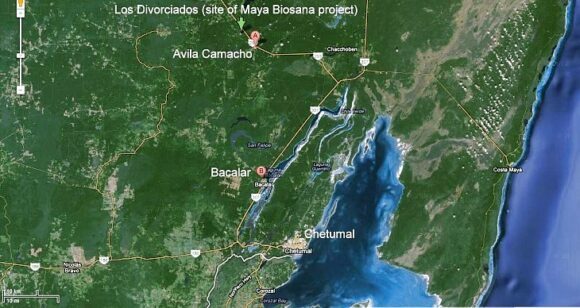 Of this amount, 48,904 cubic meters will become wastewater requiring treatment. Assuming that 10% of the wastewater is lost during processing, approximately 24,925 cubic meters of replacement water will be needed daily, which must come from an aquifer, rainwater and/or “Air to Water” methods. Calculations indicate each city could be fully water sustainable if rainwater was efficiently harvested. Assuming 10 cities were built in the various locations identified in the feasibility study (examined in an upcoming post) as much as 128 million cubic meters of water could be available for aquifer recharging each year. If new cities are to be built it seems logical to make them completely accessible to all individuals so everyone has equal opportunity to live, learn and work. This, too, is possible with Green Cities. All houses and non-residential buildings are designed to be totally accessible, making the cities not only unique in Mexico, but in the world! It is feasible, socially acceptable, and economically practical to build sustainable, accessible Green Cities in Mexico! Green Cities are especially important for Mexico. Like most other emerging and developing countries, Mexico lacks sufficient electricity-generating capacity to promote the industrial growth needed for its population. Building more wind farms can help existing cities (via the national grid) but Green Cities can provide even more long term benefits to the people of Mexico, including as many as 1 million new jobs from the construction of 10 new cities. The technology is available. Now it requires planning, refinement, cost analysis and implementation. Is Mexico ready? We believe the answer is YES! As always, Geo-Mexico welcomes discussion about this (and all our posts) via the comments feature. If the comments feature is not visible, simply click the title of the relevant post, and scroll down. 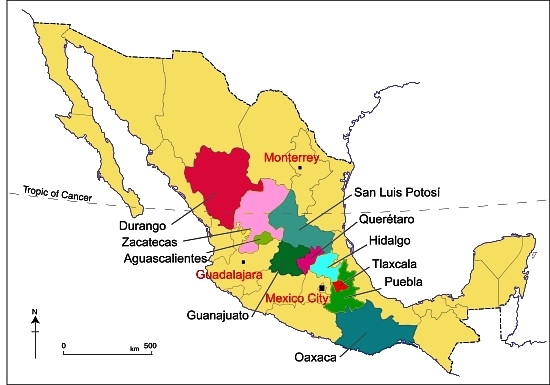 The Lerma-Chapala Basin (see map) is one of Mexico’s major river systems, comprising portions of 127 municipalities in five states: México, Querétaro, Michoacán, Guanajuato and Jalisco. The basin has considerable economic importance. It occupies only 2.9% of Mexico’s total landmass, but is home to 9.3% of Mexico’s total population, and its economic activities account for 11.5% of national GDP. The basin’s GDP (about 80 billion dollars/year) is higher than the GDP of many countries, including Guatemala, Costa Rica, Honduras, Paraguay, Bolivia, Uruguay, Croatia, Jordan, North Korea and Slovenia. Given this level of economic activity, it is probably not surprising that the pressures on natural resources in the basin, especially water, are enormous. Historically, the downstream consequence of the Lerma Basin’s agricultural and industrial success has been an inadequate supply of (heavily polluted) water to Lake Chapala. Following decades of political inactivity or ineffectiveness in managing the basin’s water resources, solid progress finally appears to have been made. Part of the problem previously was a distinct lack of hard information about this region at the river basin scale. The statistics for such key elements as water usage, number of wells, replenishment rates, etc. were all (to put it politely) contested. Fortunately, several scientific publications in recent years have redressed the balance, and the Lerma-Chapala Basin is now probably the best documented river basin in Mexico. This has allowed state and federal governments to negotiate a series of management agreements that are showing some positive signs of success. The first of these key publications was “The Lerma-Chapala Watershed: Evaluation and Management“, edited by Anne M. Hansen and Manfred van Afferden (Klewer Academic/Plenum Publishers, 2001). This collection of articles featured contributions from researchers in several universities and research centers, including the University of Guadalajara, Mexican Institute of Water Technology, Autonomous University of Guadalajara, Baylor University, the Harvard School of Public Health and Environment Canada. Click here for my comprehensive description and review of this volume on MexConnect.com. 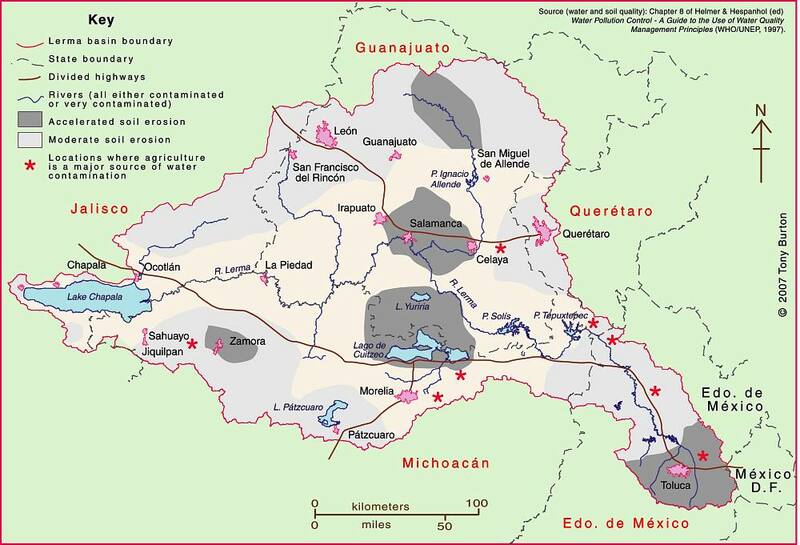 Perhaps the single most important publication was the Atlas de la cuenca Lerma-Chapala, construyendo una visión conjunta in 2006. Cotler Ávalos, Helena; Marisa Mazari Hiriart y José de Anda Sánchez (eds. ), SEMARNATINE-UNAM-IE, México, 2006, 196 pages. (The link is to a low-resolution pdf of the entire atlas). The atlas’s 196 pages showcase specially-commissioned maps of climate, soils, vegetation, land use, urban growth, water quality, and a myriad of other topics. More recently, a Case Study of the Lerma-Chapala river basin: : A fruitful sustainable water management experience was prepared in 2012 for the 4th UN World Water Development Report “Managing water under uncertainty and risk”. This detailed case study should prove to be especially useful in high school and university classes. 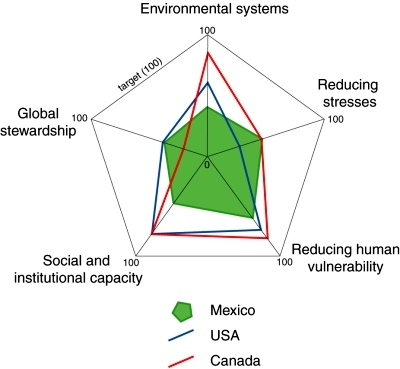 The Case Study provides a solid background to the Lerma-Chapala basin, including development indicators, followed by a history of attempts to provide a structural framework for its management. On a positive note, the study describes how meticulous study of the main interactions between water and other key development elements such as economic activity and social structures, enabled a thorough assessment on how to drive change in a manner largely accepted by the key stakeholders. One minor caveat is that the Case Study does not offer full bibliographic reference for all of the maps it uses, which include several from the previously-described Atlas de la cuenca Lerma-Chapala, construyendo una visión conjunta.